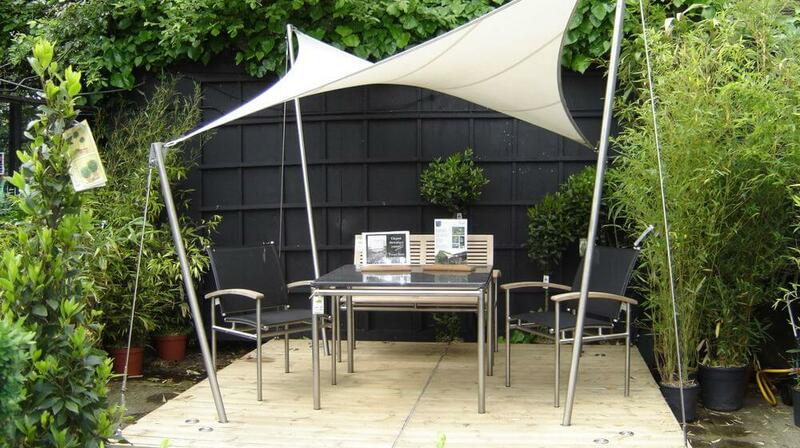 Discover our garden shade sails solutions to protect your lunch area and enjoy summer’s pleasures. 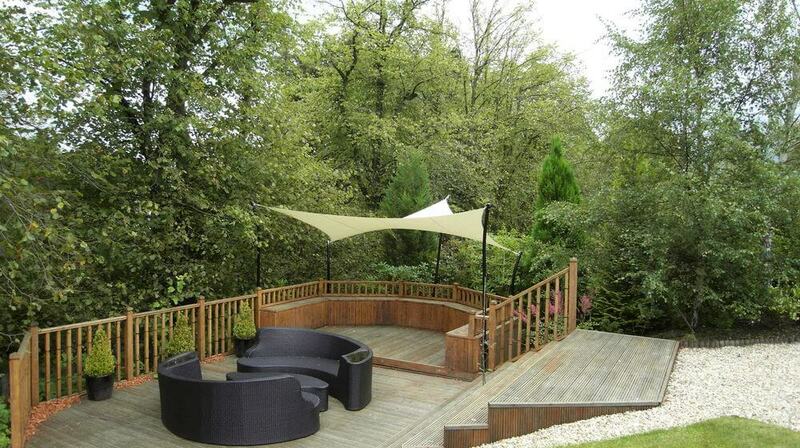 We deliver both removable and permanent garden canopies. Contact us for more information. 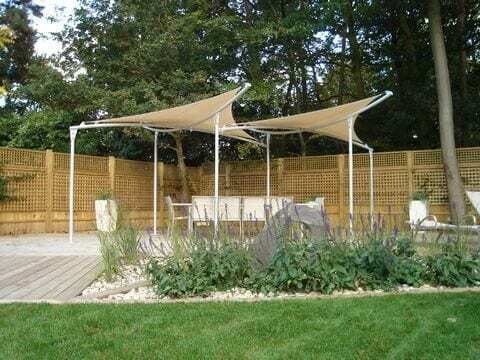 Whether you’re looking for year round use or just for summer shade, for a place to relax or for al fresco dinning with family and friends our shade structures enhance both traditional and contemporary settings and will give you pleasure this year and for many years to come. Take a few moments to look over some of the ideas shown below and in the gallery; then contact us to discuss your requirements. 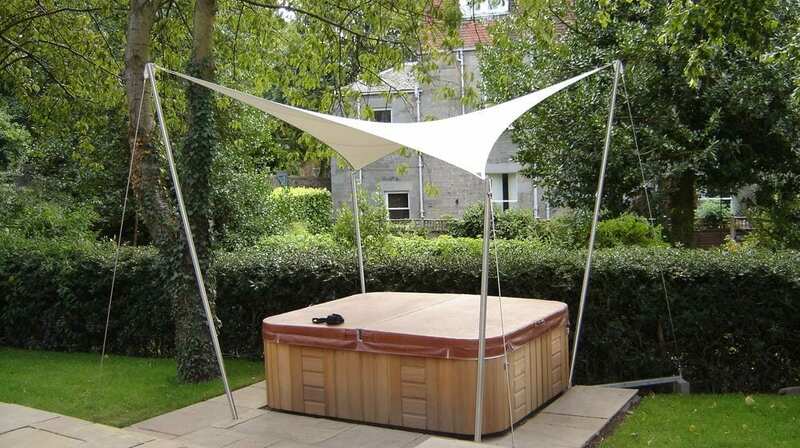 ShadeClassic is a permanent garden canopy with sleek looks and long-lasting construction. Perfect for installing over an existing patio or deck, it creates a versatile and comfortable living space. Available in stainless steel, laminated timber or powder coated steel the structure complements the simplicity of the tensioned canopy. This results in an overall form that suits both contemporary and traditional settings. With a ShadeClassic canopy, you get the most out of your garden: alfresco living all day every day, protected from sun, rain, and wind. This robust weather protection can be further enhanced by the addition of heating, lighting, or removable side panels in solid or mesh fabric. ShadeClassic uses advanced engineering principles to give a smooth, taut, wind-resistant canopy. The canopy can easily be removed for winter storage or left up for year round use. All parts have been designed for maximum durability and minimum maintenance. Priced from £5,000 and made to meet your exact specifications. 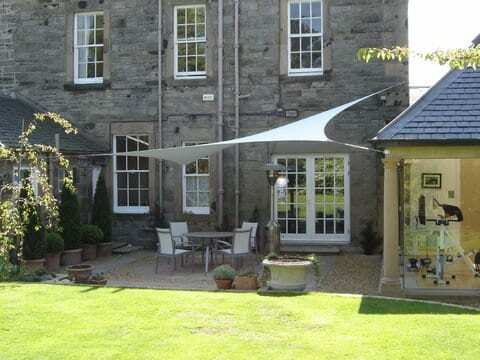 ShadePro is the only anticlastic canopy available that is designed to withstand gale force wind speeds yet can be put up or taken down by an untrained person, with no tools, in less than 5 minutes. ShadePro is a removable, yet highly durable canopy that provides year-round protection from sun, rain, and wind. It looks light and elegant but is designed for year round use. Shadepro lets you get the most out of your garden, perfect over a patio or deck, it accents any design and invites al fresco dining. The simple form works well in both traditional and modern settings and creates a sculptural focal point. Ideal for installation into a new patio or deck, ShadePro uses advanced engineering design to give a smooth, taut, wrinkle-free and wind resistant sunshade each time you put it up. The unique patented base frame is hidden from view but allows the canopy and masts to be put up or removed in minutes. The masts also provide fixing for a hammock – giving you yet another way to enjoy your summer days. 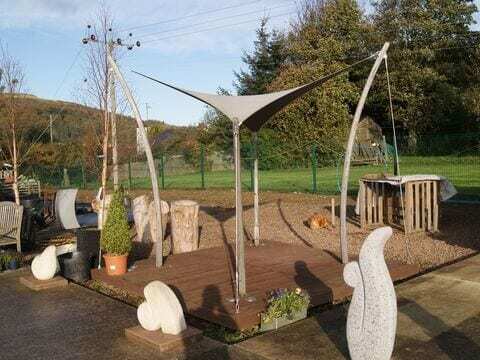 A special freestanding base frame option is available for roof gardens and terraces and all ShadePro canopies are designed to a minimum wind speed of 60 mph and can be upgraded if required. 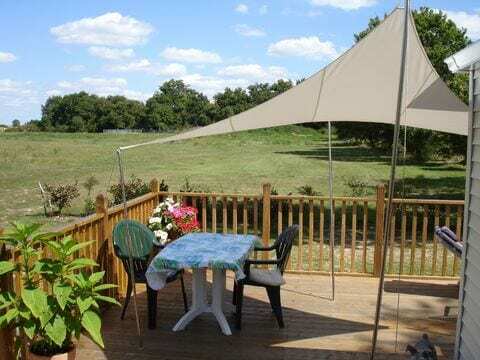 ShadeLite is a lightweight and low cost sunshade perfect for providing shelter from sun and showers. It is ideal for fitting to an existing patio or deck and can be installed over most surfaces in a couple of hours. 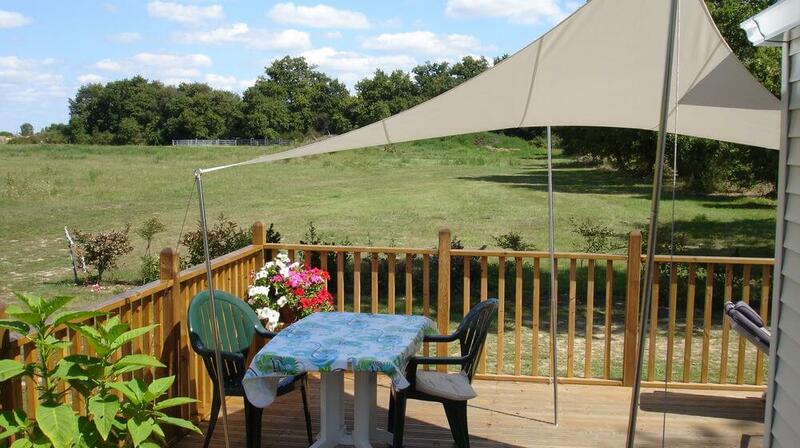 Advanced design provides a simple, wrinkle-free canopy that suits any location. When fully tensioned your canopy will easily withstand those windy summer days (rated to 30mph) and the new light weight PVC canopy makes it easy to clean and store. Once installed the canopy takes minutes to put up or take down. 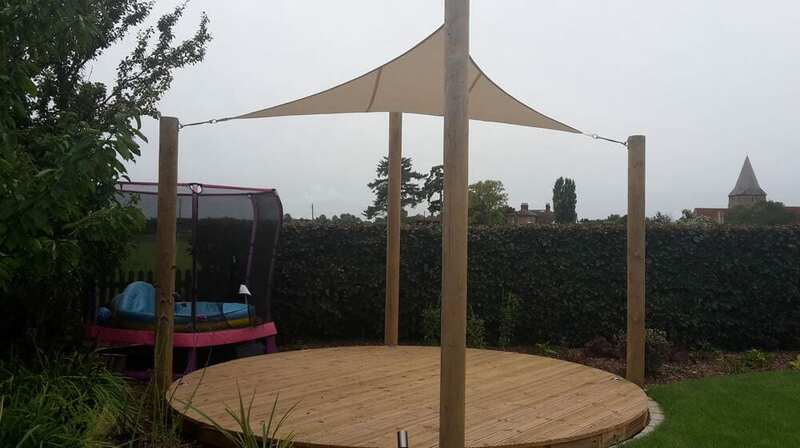 The smaller canopies are also portable and can be pegged out using the optional kit to create instant shade anywhere in the garden. 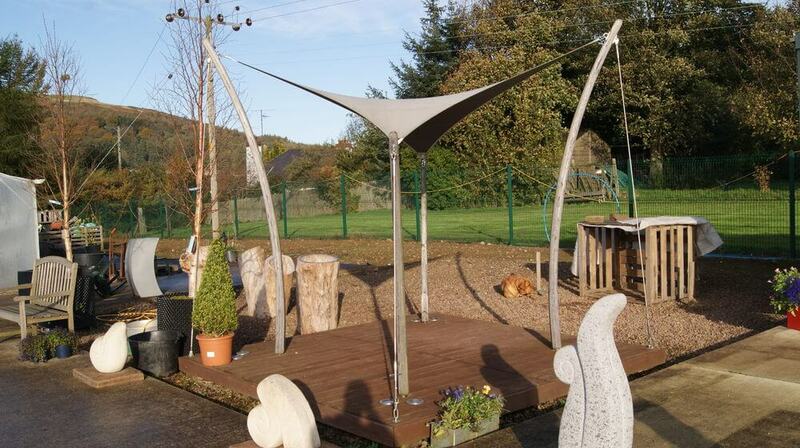 Available with one piece or sectional poles. All cables and fittings are made from marine grade stainless steel. Priced from £435 – £650 including VAT and delivery. 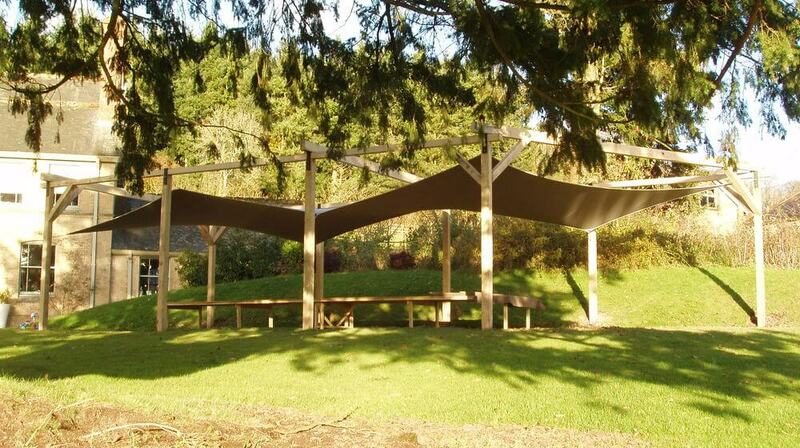 Our premium quality sails tailor made to fit an existing structure or space. We will help you to design the layout and then once the fixings are in place you can send us the required dimensions or we can arrange for a survey to be carried out. With a made to measure sail, and our technical support, you will be able to install the sail with the minimum of effort and get the best possible results. We are happy to provide suggestions on suitable arrangements and advise on typical support loads and mast sizes. However, you should consult a qualified local engineer if you are planning to fix the sail to a supporting structure like your house or a garden wall.